First impressions are built within 7 seconds of meeting someone. Branding Los Angeles, the best graphic design studios Los Angeles has, can make your first impressions last a lifetime on your business card. 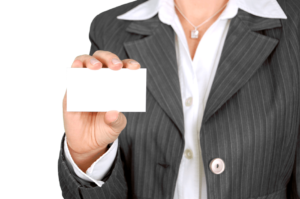 First impressions are almost impossible to change and your business card is your business’s first impression. Making your business card stand out from the rest can help you get and keep business-growing recognition and visibility. Die cut cards are one of the top favorites among clients. Die cut cards are unique because it is cut differently from a regular business card. Sometimes die cut cards are cut in a square. Embossed business cards are designed with raised patterns that you can see and touch. You’re sure to leave a lasting impression with embossed business cards. Metal business cards already stand out because they have a different texture. These cards are flexible and won’t stop you in a metal detector. Isn’t transparency with your clients the best policy? Tell them with your business card. These cards are eye-catching and smooth to the touch. Don’t worry, these business cards won’t give your clients splinters. The only thing you’ll be leaving in their hands is a lasting first impression. Business cards are convenient investments helpful to advertise your business and build credibility. At Branding Los Angeles, one of the graphic design studios in Los Angeles, our skilled graphic designers can help you design your business’s first impression. Branding Los Angeles is one of the top-rated graphic design studios Los Angeles has. 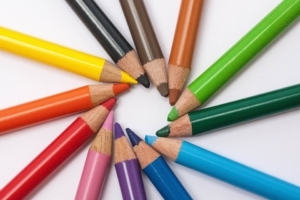 We have a highly skilled and experienced team of graphic designers. They are dedicated to exceeding clients’ business designs’ expectations. For more information about our graphic design services, visit www.brandinglosangeles.com or give us a call at (310) 479 – 6444. © 2019 Copyright by Branding Los Angeles. All rights reserved.